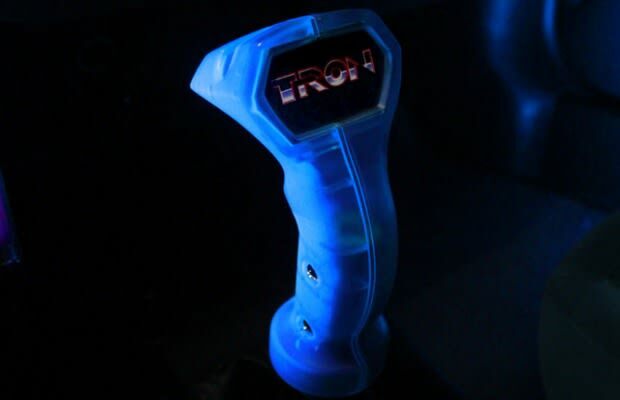 With the help of Insignificant Fish Industries you could turn your car&apos;s gear shifter into a joystick from an old-school Tron arcade cabinet. The joysticks are modeled after the original Bally Midway 1982 Tron arcade games, making your ride a true blast from the past. Glowing blue, the replacement shifters give a cool, nighttime feel to your ride, offering a completely one-of-a-kind riding experience. What do you think? Would you shell out the cash just to feel like Flynn?